Singapore has earned its reputation as one of the best shopping destinations in the world. 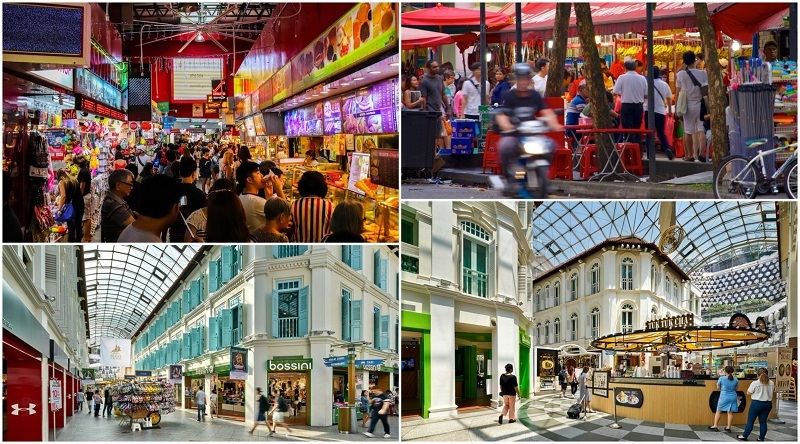 Huge shopping malls with luxury fashion goods, designer clothes, small vintage boutique shops, colourful markets brimming with bargains and local souvenirs make up the Singapore shopping landscape. As a traveller, you’ll be pleasantly surprised with the endless shopping options. 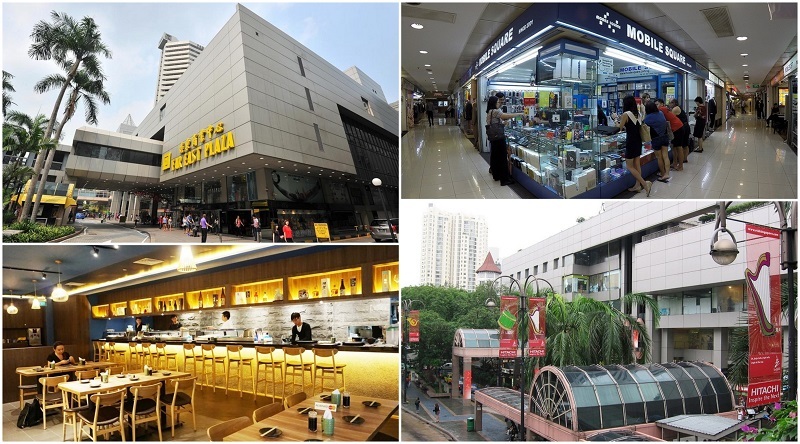 Here are the best shopping malls and areas in Singapore. Bugis Street is the bustling shopping street close to Singapore’s downtown area. Once known for being a red light district and later a gathering point for transgender women, the street is brimming with eager shop owners, curious tourists, and frugal locals. Bugis Street offers a huge range of items for sale, all at a relatively affordable price. Drift from stall to stall looking for bargains and delicious street snacks. What are some items you can buy on Bugis Street? Clothes – The stalls that line Bugis Street are packed with a huge selection of clothing items. Novelty T-shirts, hats, shoes, dresses, and jewelry can all be found in abundance here. Bugis Street is particularly popular because the items sold here are extremely cheap. If you are looking for a new outfit on a budget, Bugis Street is your best bet. Souvenirs – Bugis Street also offers a wide range of cheap souvenirs. Typical souvenir items like key chains, magnets, and assorted knick-knacks are common. Food – If you’ve worked up an appetite while shopping, the food stalls on Bugis Street will satisfy you without a doubt. Try street food from a variety of Southeast Asian stalls, or pick up some dried food to cook a delicious meal at home. 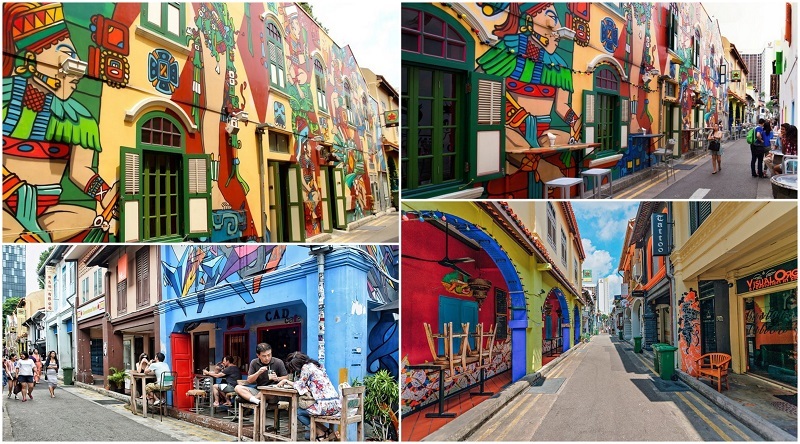 Haji Lane is one of the more popular streets of Kampong Glam, Singapore’s Muslim quarter. Known as the city’s “hipster neighborhood,” the lively street is packed with trendy shops. Soak up the lively atmosphere while trying the latest new dish at one of the many restaurants. Then, hit the shops for some one-of-a-kind pieces to show off at home. The quirky Haji Lane is the perfect place for fashion forward and trendsetting shoppers. What are some popular shops on Haji Lane? Modparade – Modparade puts a modern twist on vintage pieces. Bold prints, interesting shapes, and funky accessories take center stage here. Mondays Off – In addition to clothing, Mondays Off sells quirky lifestyle accessories. Spice up your home and kitchen with locally crafted pieces and intricate designs. Soon Lee – Here you’ll find contemporary designs in women’s fashion and lifestyle. Pieces are simple, sophisticated, and delicate. Not to mention, many of them are created by local artists. Orchard Road is the trendy sister street of Bugis Street. This road runs through the center of Singapore and is lined with swanky malls, hotels, and attractions. Orchard Street is especially popular during Christmas time, when it is decorated with dazzling lights. Regardless of when you visit this street, you are bound stay busy for hours shopping from one mall to another. How can you spend your day on Orchard Street? Shop – If the stalls on Bugis Street weren’t quite your style, the shops on Orchard Street might be a better fit. The shopping here is mainly comprised of high-end shopping malls. Try the intricately designed ION Orchard or the fashionable Knightsbridge Mall to start. Learn – Orchard Street presents plenty of opportunity to learn. Of course, there is the National Museum of Singapore. You can also visit Fort Canning Park or Istana Heritage Gallery to get a deeper understanding of Singaporean culture and history. Relax – Lay back and rest your legs after a long day of shopping and museum hopping. Orchard Street provides plenty of options for those looking to relax. Indulge in a rooftop spa treatment overlooking the busy buildings below at Andana or rejuvenate in one of Remede’s lavish spa rooms. Sim Lim Square is the electronics hub of Singapore. The mall offers a huge selection of all things electronics related. From computers to cameras to TVs, you’ll find it here. You can also get your computer repaired, or even get a new one built. Come to Sim Lim Square to shop for affordable electronic goods and services. What are some tips for shoppers at Sim Lim Square? 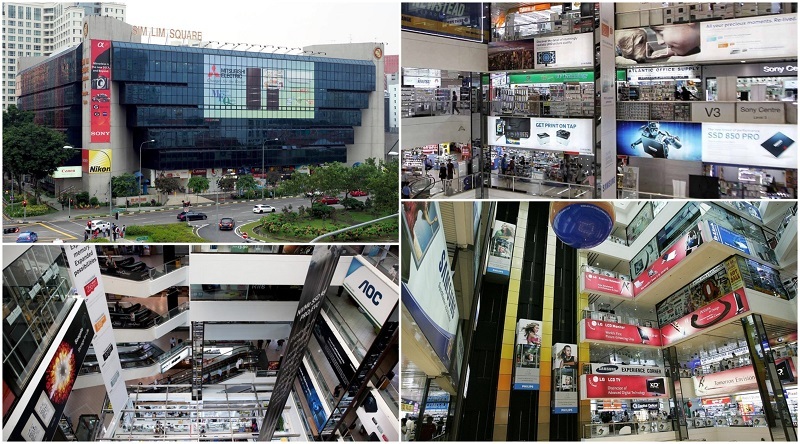 Look for authorized dealers – Many shops at Sim Lim Square are authorized dealers for big electronics companies such as Toshiba and Sony. This means that the stores sell these goods legally – Rest assured you are not buying fraudulent items. Check voltage requirements – Be sure to check the voltage requirements for the devices you buy. If they do not match the requirements of devices at home, you will need a plug adapter or voltage converter. Keep an eye out for the best bargain – Check the brochures handed out at Sim Lim Square for recent discounts, compare prices at different stores, and bargain with the shopkeepers. With due diligence you’ll get some amazing deals on quality products. Paragon Shopping Centre is one of the more classy shopping malls on Orchard Road. It is popular among upscale shoppers and is recognizable by the dramatic glass walls of its exterior. With its sleek architecture, bustling location, and high-end brands, Paragon Shopping Centre gives you the best in luxury shopping. What should you do at Paragon Shopping Centre? Shop –Paragon Shopping Center has some of the best selections of shops. In addition to clothing, you’ll find jewelry, furniture, books, and more. See some art – White Space Art Asia displays works of Chinese ink and focuses on the stories behind this age-old art form. Meanwhile, Lumas Gallery showcases various pieces of contemporary photography. Visit one of Asia’s best beauty spas – Paragon Shopping Centre is home to Porcelain, an extremely popular skincare brand in Asia. The brand has been crowned the “Best Beauty Spa in Asia” by the World Luxury Spa Awards. Take advantage of this chance to get a facial treatment from some of the best aestheticians around. Another one of Orchard Road’s famous shopping centers, 313 Somerset offers visitors the best in fashion, jewelry, and lifestyle products. What sets this complex apart is that it is a food lover’s dream – whether you are looking for craft beer, fresh produce, or Southeast Asian street food, 313 Somerset will deliver. A day shopping at 313 Somerset followed up by a delicious meal at one of its many restaurants is sure to delight. What makes 313 Somerset a foodie heaven? Discovery Walk – This strip that links 313 Somerset to Orchard Road is lined with busy restaurants and bars. The eateries you’ll find here are on the trendier side, so if you’re looking to try something new, Discovery Walk is your best bet. Food Hall – The food hall located in the complex’s basement provides shoppers with quick dining options. Stop at one of these casual restaurants for a quick bite or bring some takeaway with you as you continue your shopping spree. 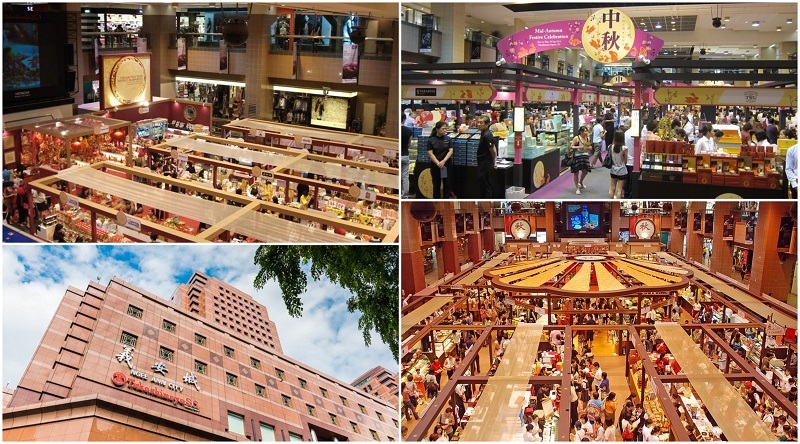 Food Court – Food Republic is a popular food court located on the fifth floor of 313 Somerset. This open, airy plaza has an impressive selection of food. With 26 vendors serving a range of dishes, Food Republic has something for everyone. Lucky Plaza is one of the many shopping centers on Orchard Road. The 30-story complex is the ultimate shopping mall – You’ll find whatever you need here, with the shops selling clothing, furniture, electronics, medicine, and more. Once you’ve satisfied your retail therapy needs, grab a bite to eat at one of the building’s many dining establishments. With so many shops and restaurants in one complex, Lucky Plaza is one of the most extensive shopping centers you’ll find. 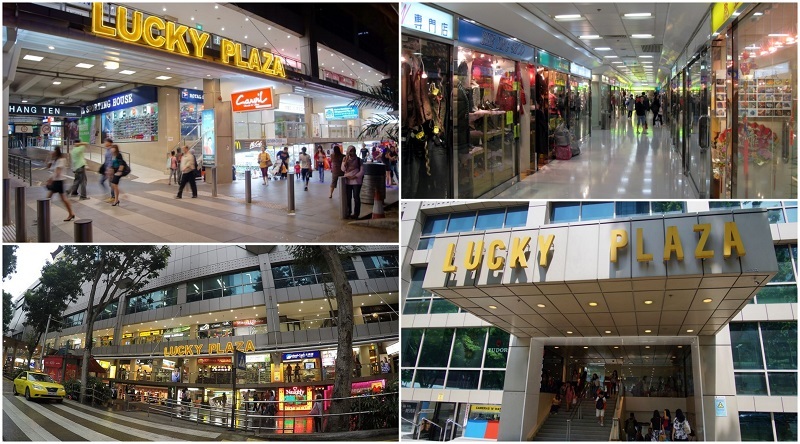 What should you know before visiting Lucky Plaza? Only 7 floors have shops – The stores of Lucky Plaza occupy seven of the 30 floors. The 26 two-way escalators, eight elevators, and 500 shops and stalls are all crammed into this small area. Make time to wander through the “bazaar-style” floors, or locate specific shops on the plaza’s store guide if you’re short on time. Fairs selling specific items are held regularly – Lucky Plaza often hosts fairs, or “exhibitions,” in the complex atrium. Examples include: watch exhibitions, property exhibitions, and home furnishing fairs. Pop in on the right day and you may find just what you’ve been looking for. It is a Filipino food lover’s paradise – Lucky Plaza is known for its wide selection of Filipino foods. Filipino classics like Jollibee and Insanal are among the numerous options you’ll find here. Ion Orchard is the futuristic, self-proclaimed “multi-sensory experiental shopping and lifestyle mall” of Orchard Road. 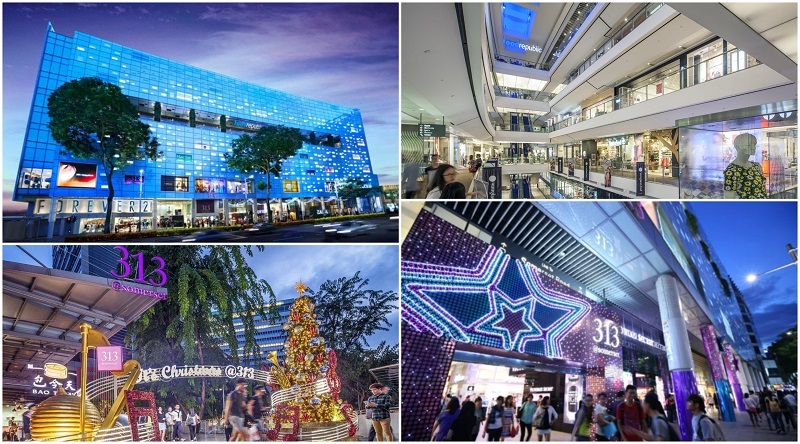 The shopping mall brings the best in shopping and entertainment with popular brands, fine dining restaurants, and inventive installations like the LED displays along the Orchard Boulevard Entrance. Treat yourself to the sights, sounds, tastes, and smells at the otherworldly Ion Orchard. What can you expect at Ion Orchard? Free art exhibitions – Located on the fourth floor, Ion art is the mall’s effort to feature contemporary art and design from Asian creators. Pieces shown here are diverse and range from sculpture to multi-media art. A culinary history lesson – The “Food & Heritage Trail” culinary event introduces diners to traditional Singaporean cuisines and local delicacies. Be sure to sign up for this special experience. Far East Plaza was one of the first shopping malls built on Orchard Road. This complex is popular among young and hip customers for its shops selling cheap trendy clothing. There are also a number of beauty salons, souvenir shops, and restaurants here. Visit Far East Plaza for some great bargains and fun people-watching opportunities. Why should you visit Far East Plaza? Practice your bargaining skills – If an item catches your eye, don’t settle for the first price they ask. The shopkeepers at Far East Plaza will accept haggling, so feel free to bargain for the best deal. Make a walk-in appointment – This mall has several beauty and service salons that are just as affordable as its shops. Most of these salons do not require an appointment, so no need to call ahead. Walk in for a spontaneous massage, haircut, or even a tattoo at Far East Plaza. Get great deals on a variety of items – It’s not just cheap clothes you’ll find here. The shops at Far East Plaza sell anything and everything, from souvenirs to food to tickets to local attractions, all at a reasonable price. Takashimaya is a department store originally established in Japan. However, the retail company has made a name for itself as a high-end shopping center on Orchard Road. The sparkling floors of Takashimaya Singapore are filled with luxury brands and fine dining restaurants. Treat yourself to a luxurious shopping spree at Takashimaya. What makes Takashimaya worth a visit? The “Tourist Privileges Card” – Takashimaya offers special deals for tourists with a Tourist Privileges Card. Benefits include free amenities, gift vouchers, and discounted meals. Inquire at the building’s customer service center for more information. Unique lifestyle shops – In addition to regular retail stores, you will find some interesting studios and shops at Takashimaya. ABC Cooking Studio, for instance, hosts cooking classes. Meanwhile, ActionCity sells collectible “designer art” toys. Delectable dining – For the hungry shopper, Takashimaya provides an array of premium dining options. Try authentic Japanese noodles, croissants from a boutique bakery, or some gourmet fruit. Wide range of services – Takashimaya is known for its top-notch services. During your shopping experience you can expect the comforts of shopping bag deposits, babysitting services, gift-wrapping services, and clothing alterations. 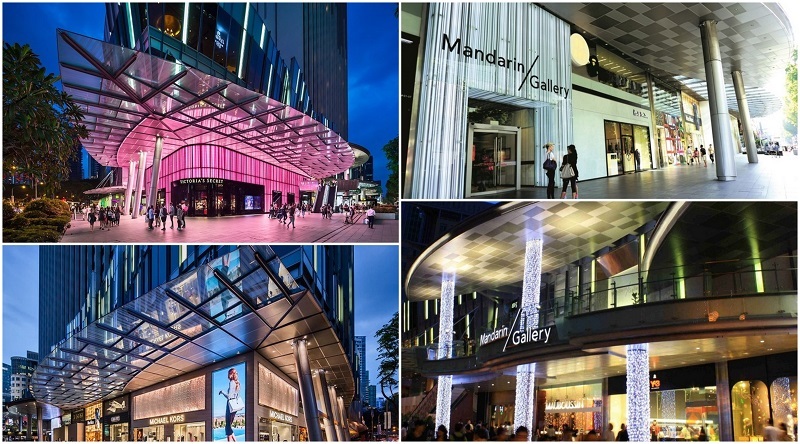 Mandrin Gallery is a shopping center located on Orchard Road. Here you will find popular international brands as well as offerings from local designers. Find the latest trends in international and local fashion in the chic setting of Mandarin Gallery. What are some local designers and brands at Mandarin Gallery? Excluniqueeee ­ – This boutique brings the talents of Singaporean designers to Mandarin Gallery. The shop sells clothing, jewelry, cosmetics, art work and more, all created by local artisans. Choo Yilin – Choo Yilin is a fine jeweler from Singapore. Her elegant pieces are influenced by East Asian styles. Pick up delicate jade and gold pieces from stores here. Melissa Zakka – This store specializes in “zakka,” a trend popular in Asia. The word roughly translates from Japanese to “miscellaneous things,” and refers to any small object that can be used at home or in daily life. VivoCity is a huge shopping complex located right across the strait from Sentosa Island. With 97,000 square meters of retail space, it is the largest shopping mall in Singapore. Of course, a mall as large as this offers plenty to do for all members of the family. Spend a day shopping, eating, and exploring at VivoCity. 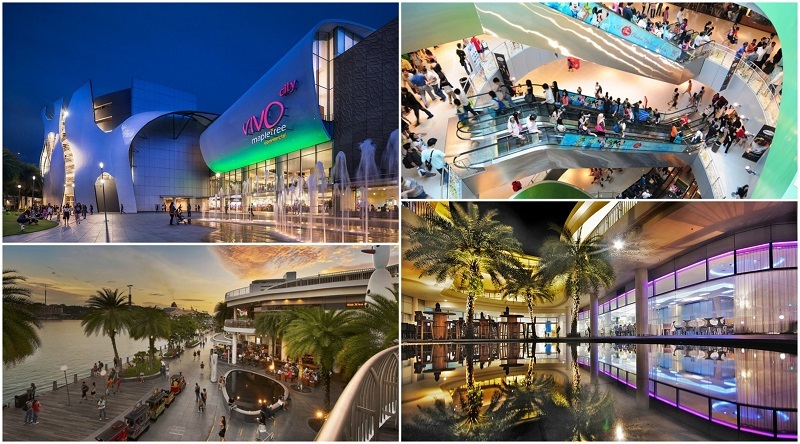 What sets VivoCity apart from other shopping centers in Singapore? Family-friendly facilities – VivoCity’s Kid’s Club offers fun activities for your little ones. Options include floating around on paddleboats and riding on a mini express train. Entertaining events – Various events are regularly held at the complex’s atrium. Catch traveling events like the Pet Safari Roadshow or promotional events like the Basement 1 Launch. Lively promenade – Rest your feet from a long day of shopping in one of the outdoor dining areas on the promenade. Here you’ll be able to enjoy a tasty meal while soaking up the lively atmosphere of the promenade. Suntec City Mall is a shopping center located in Downtown Singapore. The sleek, futuristic complex is known for its design – the five buildings represent a hand while the Fountain of Wealth resembles a gold ring held in the palm of this hand. Explore Suntec City Mall’s interesting layout, shops, and recreation options for a fun day for the whole family. 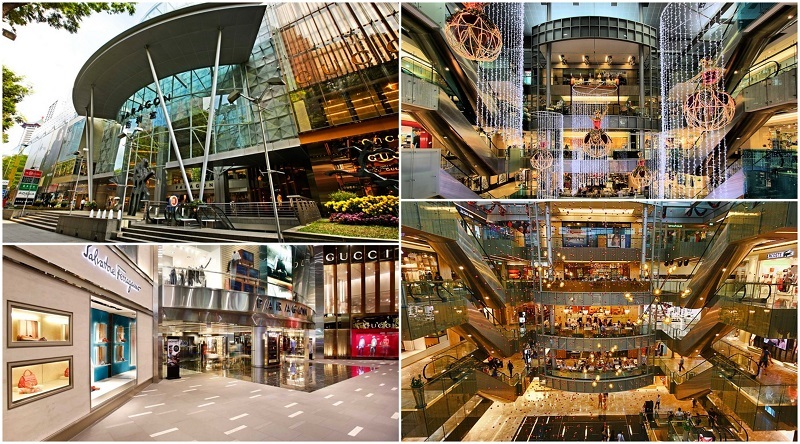 What alternatives to shopping are offered at Suntec City Mall? Duck & Hippo – See the highlights of Singapore on an open-air bus tour with Duck & Hippo. This fun-loving tour company conducts regular tours starting at Suntec City Mall. Hit all the landmarks on one of their Hippo tours, or take a land-and-sea tour on the “amphibious” Duck bus. Fountain of Wealth – The Fountain of Wealth is the centerpiece of the Suntec City Mall complex. Water falls from the ridges of a huge ring into a smaller, central ring. The fountain really comes alive at night as it lights up and gives off a brilliant glow. Health and wellness – Head over to Suntec City Mall for a makeover at one of their beauty salons. Then, unwind at a yoga class or massage parlor, both of which can be found within the complex. Amazing dining options – Like many shopping centers in Singapore, Suntec City Mall has an extensive catalogue of eateries and bars. Explore the stalls of Pasarbella, indulge your sweet tooth at Awfully Chocolate, or sit down at any of the hundreds of establishments here. Get to know the Indian community of Singapore in Little India. While its residents are not solely of South Asian decent, you’ll get a good sense of the culture in this area. Between the colorful storefronts, smells of incense burning, and gorgeous Hindu temples, Little India is an alluring and fascinating district for shopping in Singapore. 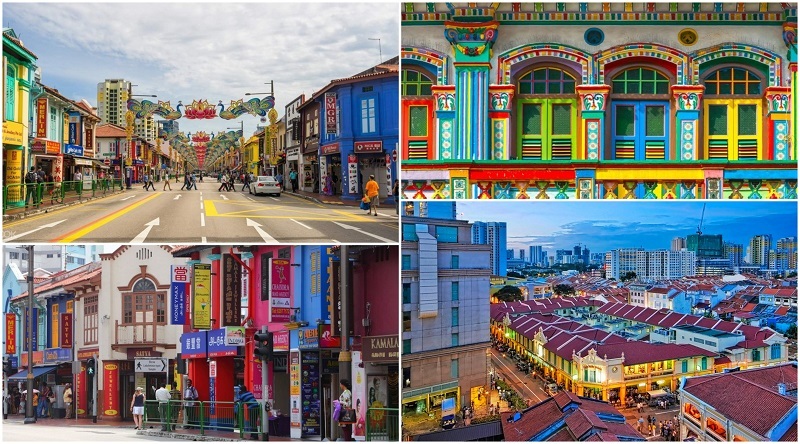 How can you immerse yourself in the culture of Little India? Visit during religious festivals – The streets of Little India light up with cheerful installations during Deepavali, the Hindu festival of light. Be sure to catch the Silver Chariot procession, which is held in the weeks prior to the festival. Little India is just as festive during Pongal, which is a Tamil celebration of harvest. Try the food – Of course, you’ll want to get a taste of the dishes in Little India. Start at Tekka Market, where you’ll find fresh meat and produce on sale as well as numerous food stalls. Browse the shops – Little India is a great place to shop for unique souvenirs. Look for Indian fashion staples such as saris and gold jewelry, or colorful knickknacks to give your home some flair. Singapore Chinatown, located by the Marina, is a congregation of Chinese food, shops, and temples. Originally a haven for Chinese immigrants, these narrow streets give visitors a glimpse of the country’s culture and history. Spend a day exploring the bustling Singapore Chinatown for a fun day of shopping, eating, and more. 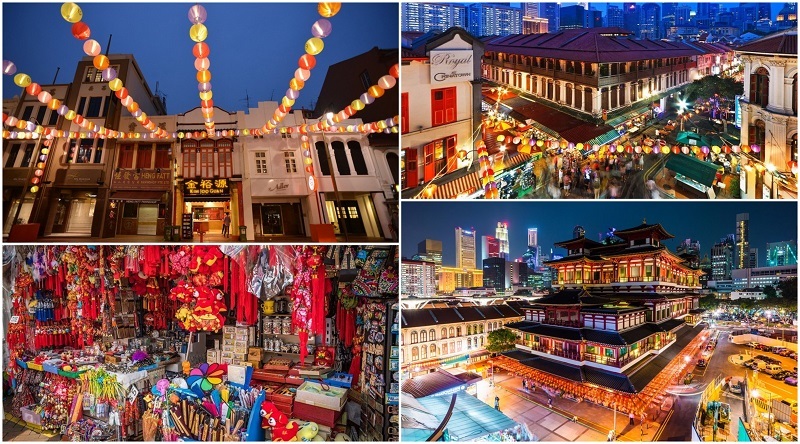 What are some interesting attractions at Singapore Chinatown? Go on a VR adventure – Virtual Room is a virtual reality experience that allows groups of up to four players enter a cyber-world. The game’s incredible sensitivity to your movements and immersive headsets will have you spellbound. Take in Singapore’s “melting pot” culture – With Malay, Chinese, and Indian citizens peacefully coexisting, the country is truly a multiracial paradise. Sri Mariamman Temple exemplifies this quality perfectly – It is a Hindu Temple located in the heart of Chinatown. This gaudy and extremely intricate temple provides a nice contrast to the red and gold Chinese shops. The Buddha Tooth Relic Temple – This is one of Chinatown’s most popular attractions for good reason. The four-story temple is built to impress, with its ornate exterior and detailed embellishments within. Don’t miss the Buddhist Culture Museum and roof garden while you’re there. Visit a historic park – Ann Siang Hill is a historic park just around the corner from Chinatown. Here you will find small colonial buildings renovated into trendy bars and restaurants. Come here for a round of drinks after your day in Chinatown. Marina Bay Sands is a world-class resort that is located by the southern coast of Singapore. This hotel is the pinnacle of luxury and entertainment, with a slew of shopping, dining, and recreation options for guests. 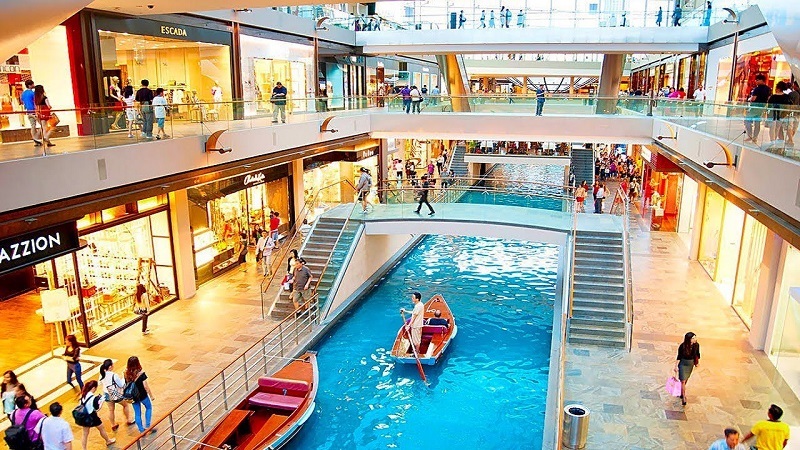 Splurge on a couple nights at Marina Bay Sands and take advantage of their huge shopping mall. 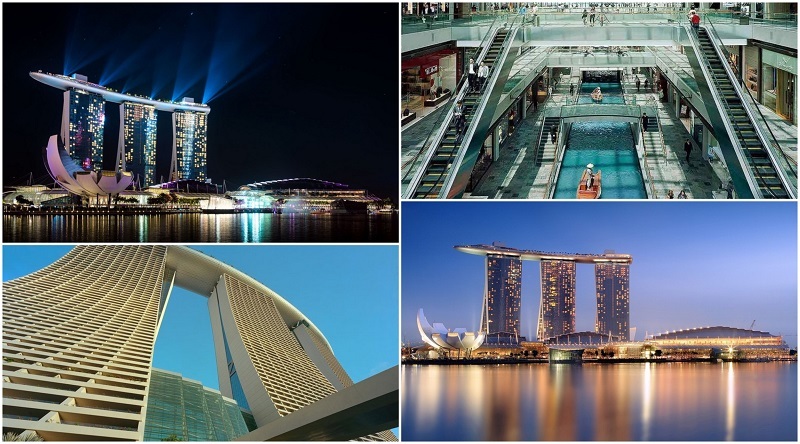 What are the top attractions at Marina Bay Sands besides shopping? Future World – Immerse yourself in the incredible fusion of technology and art known as Future World. The exhibition, which can be found in the resort’s ArtScience museum, uses light projections to create 3D settings with which visitors can interact. Spectra – Spectra uses water, light, and sound to tell the story of “Singapore’s journey” in a fantastic visual presentation. The show is held daily in front of the resort and is open to the public. Sampan rides – Mellow out on a sampan, which is a type of boat used in East Asia. Marina Bay Sands allows visitors to float around its indoor canals on these sampans. Tradition meets modernity on these cruises. Celebrity restaurants – With ten celebrity restaurants located in Marina Bay Sands, the resort is a must do for food fanatics. Celebrity chefs who have opened restaurants include Gordon Ramsay, Wolfgang Puck, and David Myers. The historic Clarke Quay is a riverside landmark that borders Singapore’s downtown district. The shimmering water of the Singapore River provides a pleasant backdrop for the bustling shops, restaurants, and bars. The historic charm, idyllic setting, and lively crowds at Clarke Quay make it irresistible to fun-loving locals and visitors alike. What other activities are available besides shopping at Clarke Quay? 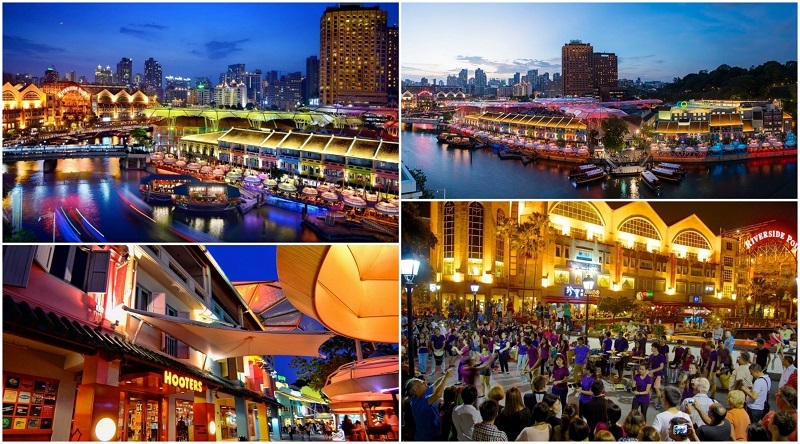 Enjoy a fun night out – Clarke Quay is known for its vibrant nightlife. Sip on a tasty cocktail on an anchored Chinese junk or dance up a storm in one of the converted warehouse clubs. Float along the Singapore River – Take in the sights and sounds of Clarke Quay from the water on a river cruise. There is a myriad of options when it comes to these cruises – some include live guides while others include dinner – so choose the one that best suits your interests. Discover the artsy corners of Clarke Quay – Take some time to explore the nooks and crannies of Clarke Quay and you will be rewarded with some impressive works of art. Elaborate murals cover the walls of back streets, while intriguing pieces line the walls of small galleries and workshops. 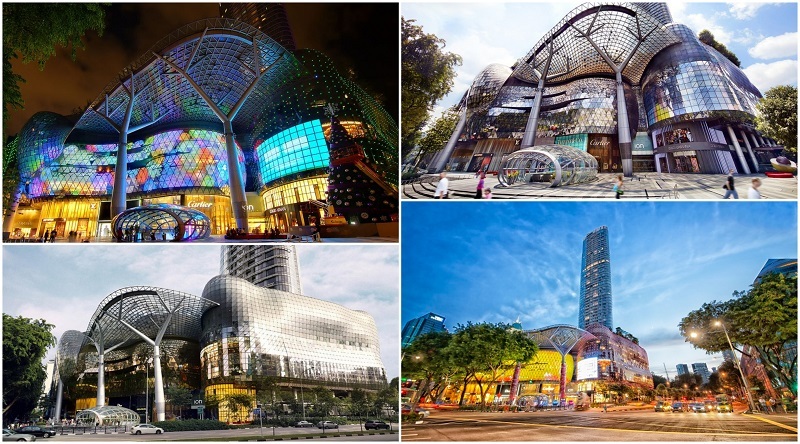 You can see there are plenty of shopping opportunities in Singapore and you’ll surely be kept busy visiting all these amazing malls. If you’re still not sure where to go, have a look at some of our shopping tours and tickets on offer.